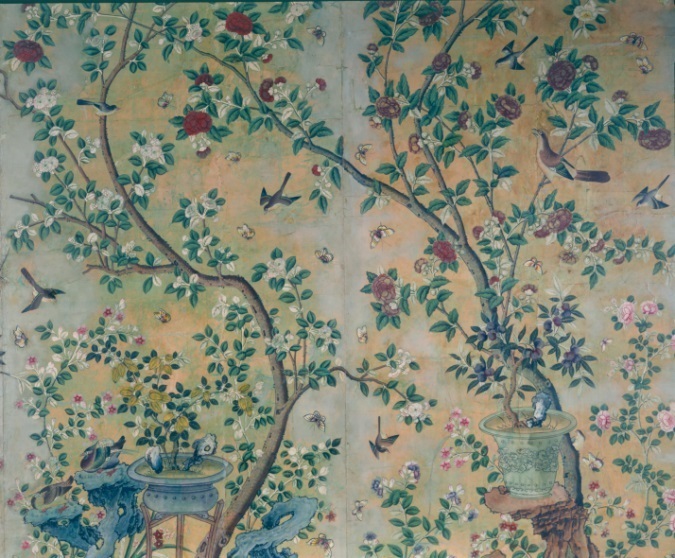 Two sets of hand-painted Chinese wallpapers on panel, One set features blossoming cherry trees with exotic birds and butterflies on a beige background. 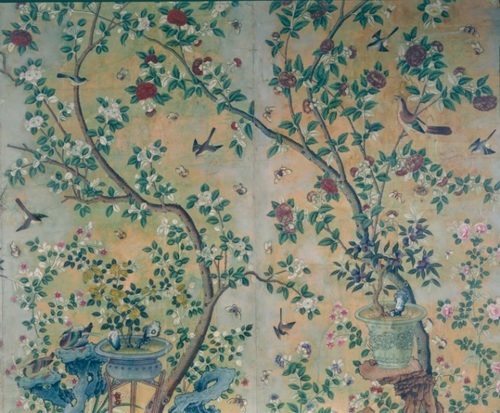 Second set has peonies with birds on an aqua background. Twenty panels in total.